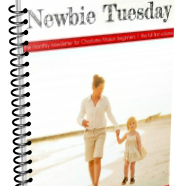 Newbie Tuesday is a monthly newsletter that introduces parts of Charlotte Mason’s philosophy. 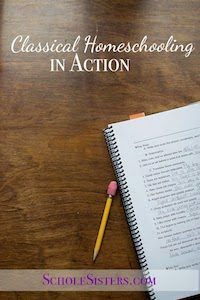 There’s a letter from the editor, an article introducing the philosophical underpinnings, another article on the practical applications, and then yet another article on transitioning older students to the concept or practice. It’s packed with a bunch of resources for further reading around the web, in books, as well as practical tools for implementation. Volume 1 contains all 11 newsletters from 2015, a PDF of 71 pages. Volume 2 contains all 11 newsletters from 2016, a PDF of 88 pages. I’m so glad I got these volumes! I had mine printed B&W and spiral-bound so I could highlight great advice and star items for my wish list. I take it a little at a time because so much good info is packed into each issue. Is this something you still produce-is there a 2017 and 2018?